Mert Alas & Marcus Piggott go for maximum exposure, shooting Fall/Winter campaigns for Roberto Cavalli, Versace and Dsquared2. 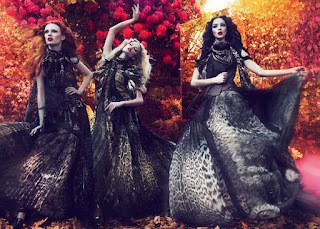 Maria Carla Boscono, Natasha Poly and Karen Elson team up for the photographic duo in Roberto Cavalli's lush autumnal themed campaign. 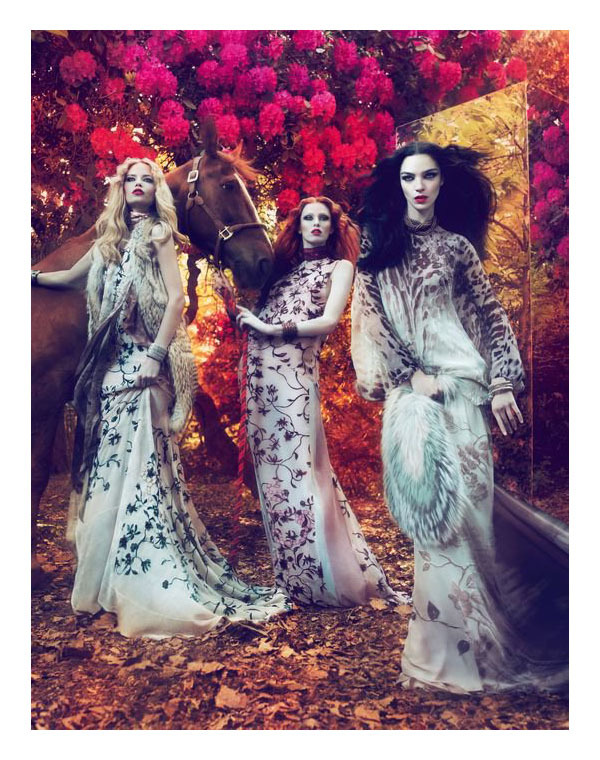 The trio of enchantresses cast a spell amidst a lush setting of fuschia pink flora and golden brown foliage. 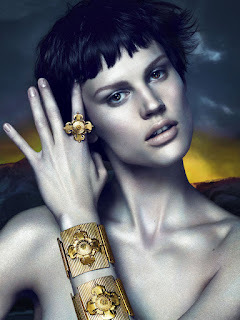 Versace's bold campaign features Saskia de Brauw and Sean O'Pry against a desert landscape with ominous dark clouds swirling on the horizon. 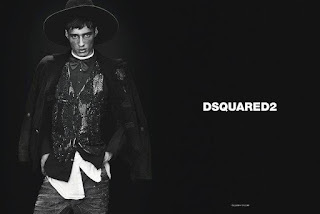 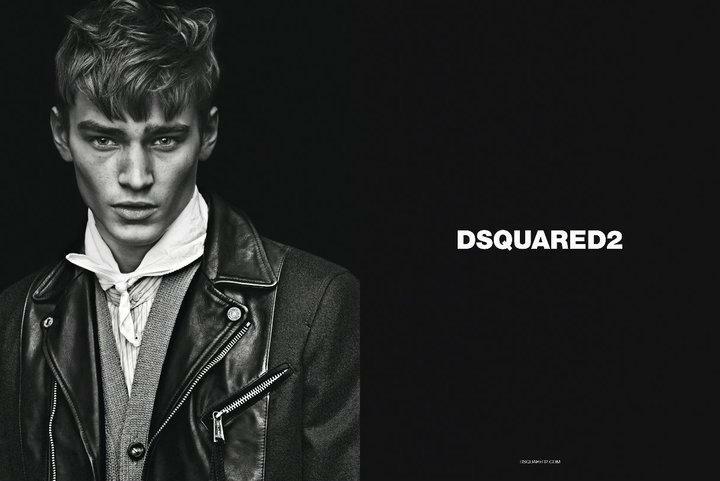 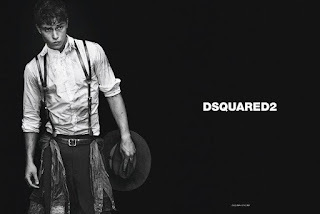 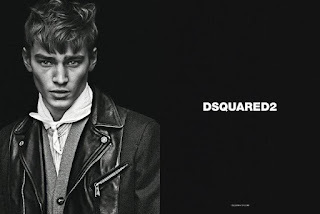 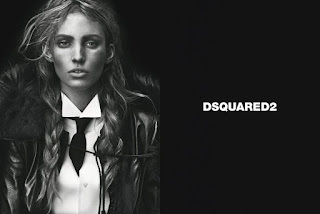 Newcomers Emily Baker, Saskia de Brauw, Bo Develius and Francisco Lachowski have gone back to the ranch for DSquared colonial inspired campaign. 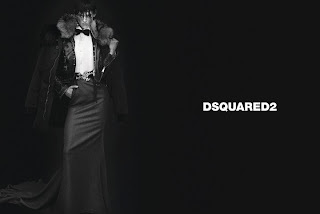 Stylist Katie Grand combines leather, denim, sequins, swarovski crystals, fur and bow ties, to bring new meaning to the term colonial chic.